Pride of Baltimore II, America’s Star-Spangled Ambassador (above), will host an event of international proportions as Pride makes rendezvous with the French-built Hermione, a replica of the Marquis de Lafayette’s 18th century ship. Captains of both vessels will meet near the Key Bridge as Pride escorts the Hermione to the Inner Harbor. 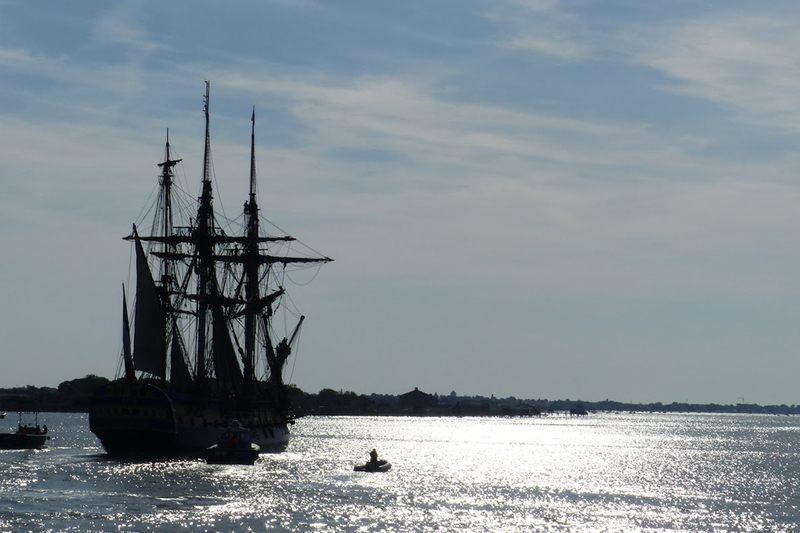 On April 18, 2015, Hermione (above) departed from France on a two-month Re-Living History sail to commemorate the voyage that brought a young Marquis de Lafayette to aid General George Washington. The Hermione is sailing 3,819 miles across the Atlantic and will make landfall in Yorktown, Virginia, on June 5th. She will then sail up the coast for two months of commemorative events at 11 additional iconic ports, including Alexandria/Washington, DC, Baltimore, Philadelphia, New York, Greenport, Newport and Boston. Capstone moments of Hermione’s June 19th arrival in Baltimore include a cannon salute from Fort McHenry National Monument and Historic Shrine upon arrival and a Welcome Ceremony, which will take place at 10 am in Baltimore’s Inner Harbor. Deck tours of the Hermione and a Photographic Traveling Exhibit commemorating the 17-year reconstruction process will be offered. Pride of Baltimore II will also offer free deck tours. In addition, Pride will offer 2-hour public day sails from 2-4 PM each day and can be chartered for evening sails Friday, Saturday and Sunday. To make reservations or to book a private charter for a group of up to 33 passengers, visit www.pride2.org or call 410.539.1151. Traveling Exhibit: A photographic panel display of Lafayette’s role in the American Revolution and the Hermione’s reconstruction. Community Heritage events: Historic shipbuilding and colonial crafts demonstrations. Maryland regiments and fife and drum corps. Lafayette reenactments. 3 afternoon interlude concerts by Rochefort's Les Vents Marines: French and American seafaring songs from the American Revolution to today with public sing-a-longs. Community Heritage events:Historic shipbuilding and colonial crafts demonstrations. Maryland regiments and fife and drum corps. Lafayette reenactments. 3 afternoon interlude concerts by Rochefort's Les Vents Marines: French and American seafaring songs from the American Revolution to today with public sing-a-longs. In 2015, a handcrafted replica of the Hermione, the 18th century frigate that brought the young Marquis de Lafayette with French troops back to General Washington, a historic voyage that changed the course in our quest for independence—will return to America. The Hermione’s itinerary reaffirms the historic relationship between the United States and France. 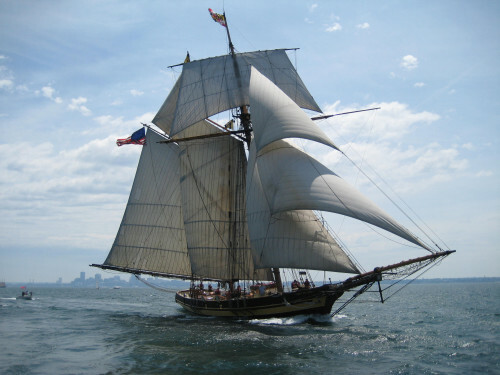 The Friends of Lafayette-Hermione in America, Inc., a non-profit group, supports this exciting adventure—partnering alongside local heritage and nautical groups, students and teachers K-through-12, and many cultural organizations, museums and universities – with a full program of exciting educational, musical, culinary and special events scheduled at each port during 2015. For More information, contact Deborah Berger at Deborah@purepr.biz or call 646.391.0352.